The drama never stops on Bravo and we are back to recap it all for you. We spill all the tea and shade on ALL your favorite Bravo shows. From the the Housewives to The People’s Couch and everthing in between we have you covered Join us live every Monday at 7pm on YouNow to be part of the fun! Ask questions and give your opinions we want to hear it all. Don’t forget to BECOME A FAN so you never miss out on any of our shows! 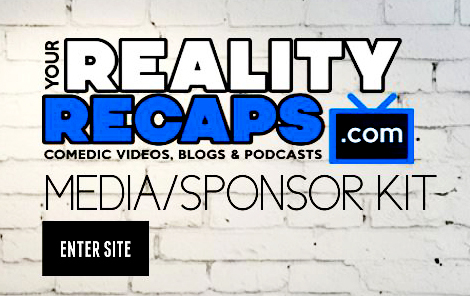 Don’t forget to check out our recap blogs and our audio vlogs on our BRAVO page as well! We are also recapping Surivor 31:Cambodia and Bravo Shows this season so you aren’t going to want to miss those shows either! We are also interviewing all the BB17 cast members every Thursday, so check out our Big Brother 17 page for all those amazing shows. Finally on Fridays we do a fan show where we talk all things reality TV and bring you on as guests! So check all that our on our YouNow page live and backed up here on the website. Do you like what we are doing this season? Then PLEASE help us keep doing it! The best way to do that is to become a Patreon! Our patreons are what keep our site up and running. You simply pick a month amount you want to donate (even $1.00 help) and that’s it! Plus Patreons get access to a SPECIAL PATREON ONLY FACEBOOK GROUP & PATREON ONLY SHOWS! If you’d rather just do a one time donation you can use PAYPAL instead. We appreciate ANY financial support you can give. Like online shopping? The use our Amazon link in the sidebar to start your shopping with them (you don’t pay any more and we get a little back). Or if you are interest in any of the ads in the side bar to the right check those out too. Next Article Celebrity Big Brother UK Week 1 Recap w/ Jason Roy!